This study of rising sea levels puts both science and poetry to work in honoring human and non-human coastal communities across the United States. 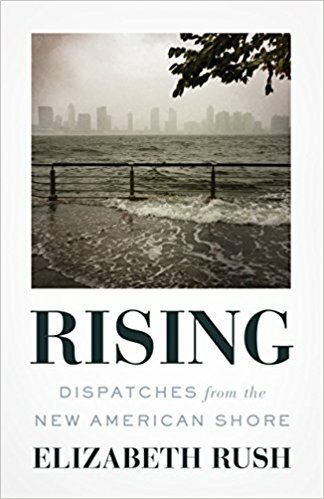 Journalist Elizabeth Rush’s Rising: Dispatches from the New American Shore is science, poetry and personal witness, concerned with human and more-than-human communities. It is a reckoning with the ugly reality of climate change, with numbers and predictions becoming grimmer each year. It is a poetic meditation on the nature of change, on how people can make peace with a changing world and our agency in it. And it is an impassioned consideration of the injustices humans perpetrate on one another, and on the non-human world. Rush saw firsthand the reality of rising sea levels in inland Bangladesh, when a boy named Faharul showed her his dying mustard greens, their veins filling with salt. It took her years to follow that story to the U.S. communities she visited in researching and writing this book. In Rhode Island, Louisiana, Maine, Florida, New York, Oregon and California, Rush interviews local residents, observes local flora and fauna and questions scientists. She studies climate change and the rise of sea levels globally, but particularly in wetland ecosystems. Rush’s concerns begin with plants and animals: salt marsh harvest mouse, roseate spoonbill, Caspian tern, rufous hummingbird, red knot, black tupelo. But she quickly extrapolates them to tell a human story, too, about the people threatened alongside greater egret and cypress, and about her own struggle to navigate hope and action within despair. “I have a hard time separating excavation from elegy.” The loss of islands on Louisiana’s coast means the loss of Native communities there, and to understand that loss, one must recognize that those communities were formed by relocated tribes of Chitimacha, Biloxi, Choctaw and Acadian people pushed out of their original homes all over the continent. This is but one example of the vulnerable populations most at risk and least assisted by social supports. Appealingly, Rush puts her research and writing to work alongside the perspectives of coastal residents: interwoven chapters are told in other voices. She makes allusions to the story of Noah and his ark, and to Leslie Jamison’s The Empathy Exams, seeking the right reference point. Striking black-and-white photographs from Rush’s travels add another gorgeous, elegiac layer to the narrative she helps to construct. Finally, an alliterative organizational structure stemming from wetland botanical structures makes this a book to be admired on many levels. Rising is in some ways a difficult read. 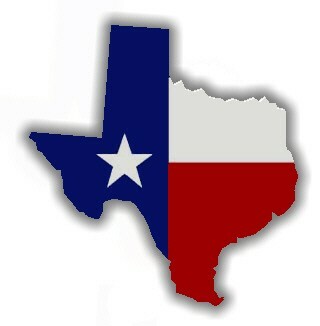 Its subjects are sobering and saddening, and survivors of flood events may be re-traumatized by some descriptions. The human-on-human crimes Rush documents include both discriminatory lending practices and sexual assault. These are important subjects to consider, regardless of the pain they may cause, but Rising has more to offer: pulsing, gleaming prose and a stubborn search for, if not hope, then peace in the face of disaster. This review originally ran in the May 24, 2018 issue of Shelf Awareness for the Book Trade. To subscribe, click here.